I don’t have much of a sweet tooth. Never have. As a child, when most kids were plowing through the fridge for Otter Pop’s, I was securing my digits on a nice chilled slab of butter. Obviously my palate have matured since then, I’m not a monster. But you certainly won’t catch me ogling over a gooey lava cake. And don’t even think about winning me over with chocolate chip cookies or worse, a brownie. 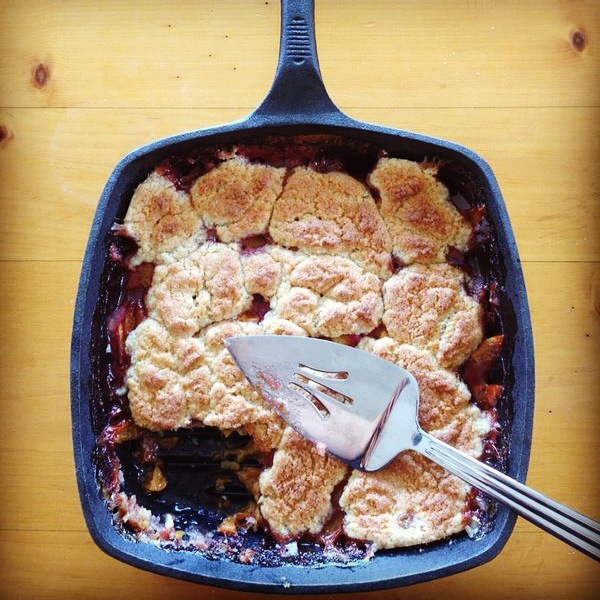 As far as sweets are concerned, I do have a few exceptions and cobbler is one of them. 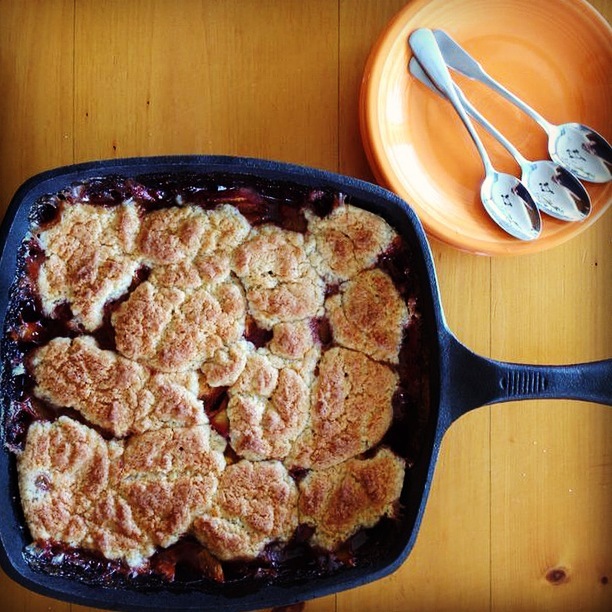 Especially a peach and raspberry cobbler made with wild raspberries found in the mountains of Colorado during a thunderstorm. 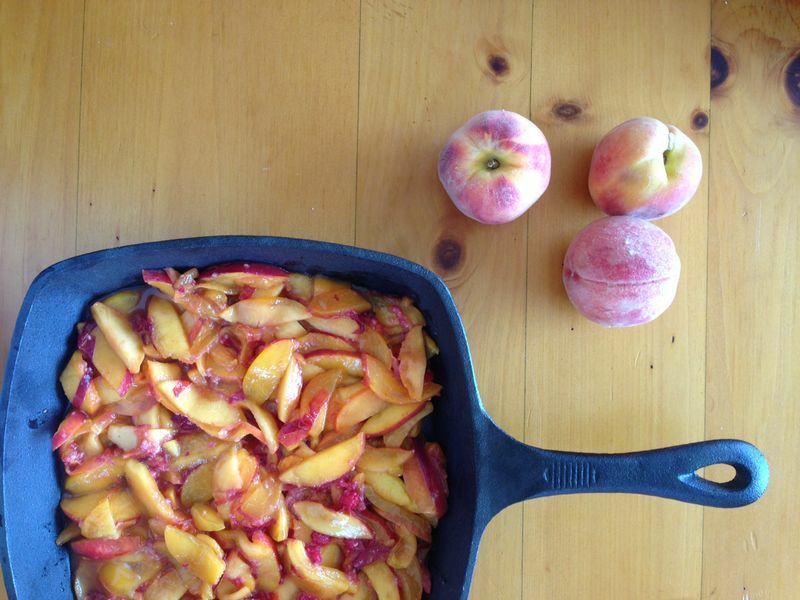 I love food with a story. Especially one where you are lost in the woods during a heavy storm and your Lembas has just been stolen by the very creature you rely on and all of Middle Earth’s existence rests on you… ahem. 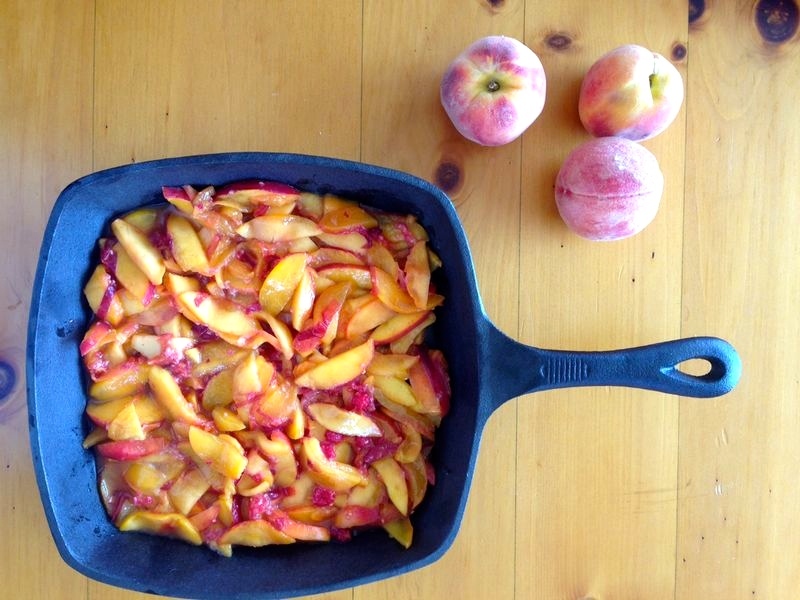 I used this simple peach cobbler recipe and decided to bake it in a cast iron skillet for a rustic touch. I was staying in a cabin in the woods after all. 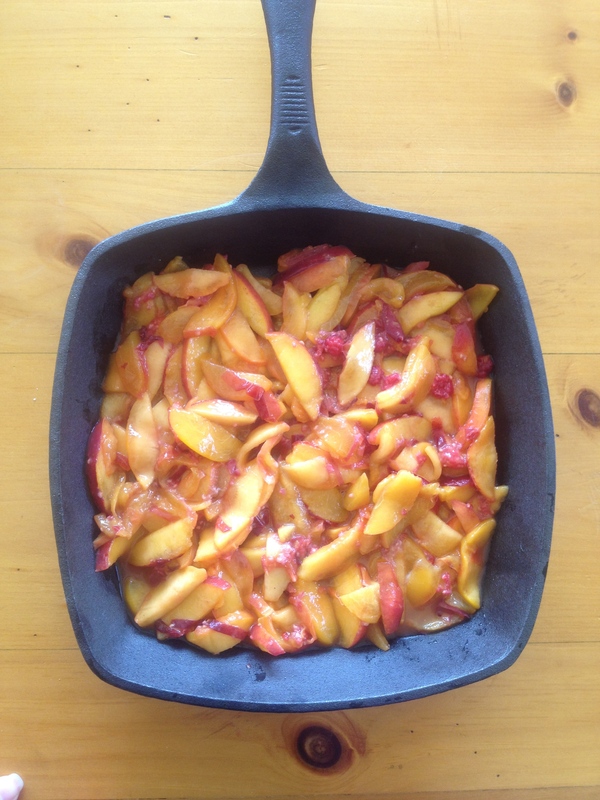 As mentioned, I added a cup of wild raspberries and 2 additional peaches to the mix and the result was nectarous. 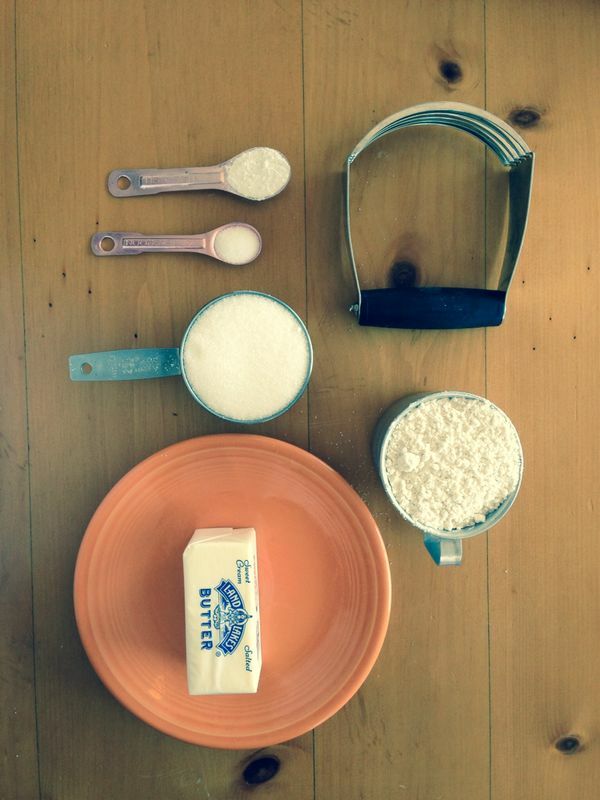 The biscuit topping is not too sweet which is why I’m such a fan of this recipe.